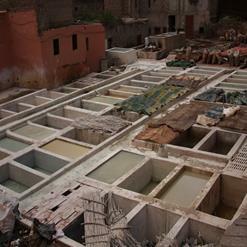 Situated beneath the foothills of Atlas Mountains, Djemaa el Fna is a square and market place. It is a most famous square and attracts visitors from around the world. The real excitement starts after the sun sets. In the evening, fortune tellers, snake charmers, musicians and monkeys entertain visitors. Food is prepared fresh and hot in various food stalls. It’s a must visit place when you are in Marrakech.